Administration Services provides coordination and policy direction for all administrative functions in the Oregon Department of Justice. Marc is the division administrator of the Administrative Services Division and is responsible for leading the delivery of all business services, including information technology, accounting, operations and human resources. Marc joined the Oregon DOJ as its first chief information officer in 2004. He provides leadership for the strategic use of business resources in support of the mission and goals of the Oregon DOJ and works closely with department leaders in formulating policy, facilitating decision-making processes, determining projects, and setting and managing priorities. Marc's prior professional experience includes technology leadership positions with SuperShops, Inc., the United States Air Force, the Oregon Department of Transportation, and the Oregon Department of Administrative Services. 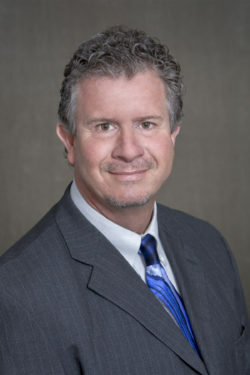 He holds degrees in information management and business administration from the University of Maryland and California State University, respectively, and is a graduate of the Willamette University Certificate in Public Management program. The Accounting Services Section is responsible for the Oregon DOJ’s financial and business functions. Human Resources serves the Oregon DOJ’s approximately 1,300 employees and advises managers in all areas of employee supervision. 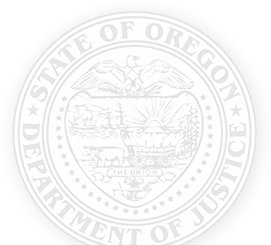 This section provides centralized information services planning for the Oregon DOJ. Staff provide support for all computer and network projects within the legal divisions. The Operations Section oversees the Oregon DOJ’s physical facilities. Operations is the main contact for questions related to space planning, leasing and other concerns related to office buildings. They also serve as liaison with Administrative Services on questions related to state central services, such as facilities, printing, motor pool and purchasing.